Principals, Parents, Teachers and Local Government love the Ocean Warriors! 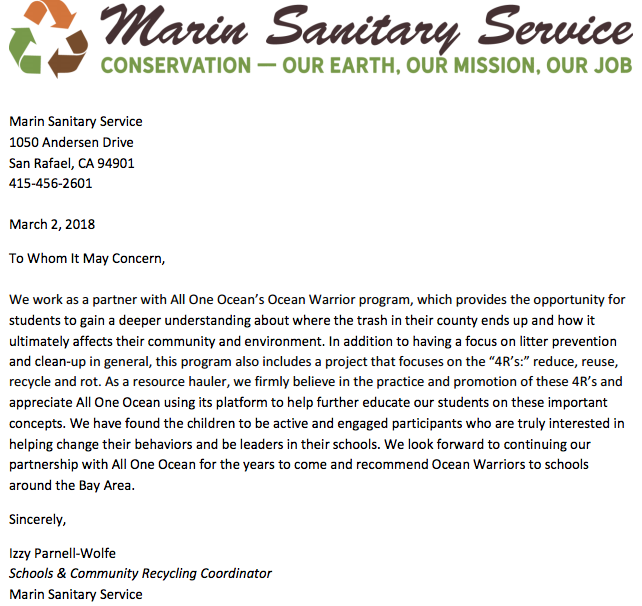 It is with great pleasure that I write this letter of recommendation for our Ocean Warriors third grade program. It has proven to be an outstanding addition to our educational program and has truly changed the third grade environmental advocacy culture. I believe that Nicole Cibellis, the OW leader, is a natural-born educator and she has the knowledge, organization, and kindness it takes to provide an awesome experience for students and the school community. We have been lucky to have her on the Glenwood campus because we get to have her expert advice. I have observed her communicating with teachers and find her to be at ease with guiding and sharing her expertise with them. She also has a fantastic rapport with other parents. Her emails and write-ups have been impressive communication tools. She gives relative, positive, and timely feedback to everyone she works with. The third graders have happily engaged with the project based learning opportunities that OW offers. Their final projects are appreciated by everyone on our campus, especially our Green Team and Zero Waste Marin partners. We, the staff of Glenwood, wholeheartedly recommend that this program continue here, as well as spread to as many schools as possible. 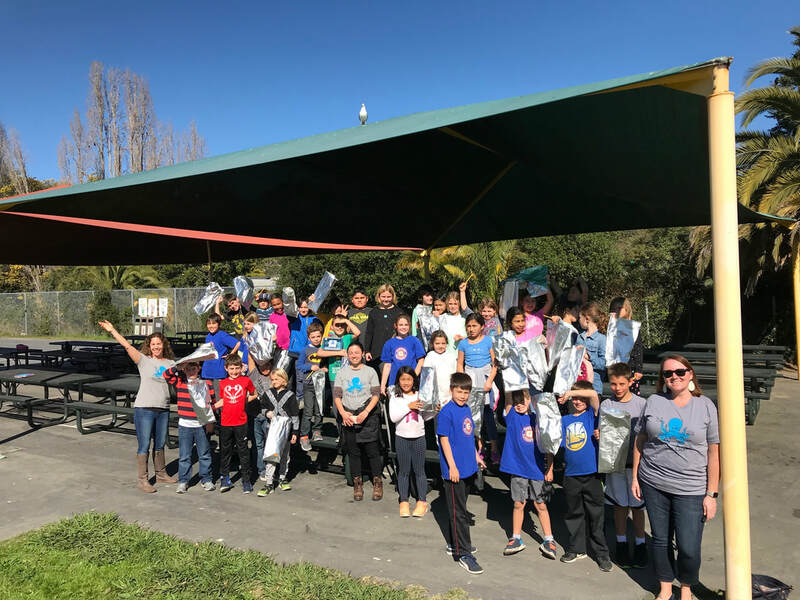 For elementary schools that are ready to take the next step in environmental education and leadership for their school and students, Ocean Warriors is the program. My students have happily given up their lunches once a week to meet, discuss environmental issues, make plans and do work around the school and community that have a real impact on our bay and oceans. 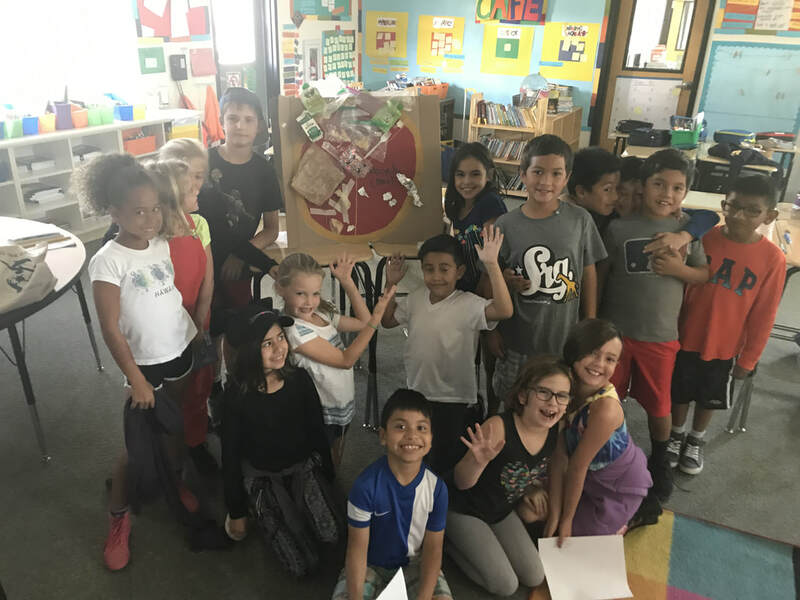 The students are learning more each day about recycling, trash, our plastic challenges and are looking at the world around them in a different way. They are becoming advocates in their community, for their environment. I very much appreciate the rich message All One Ocean provides for our students! 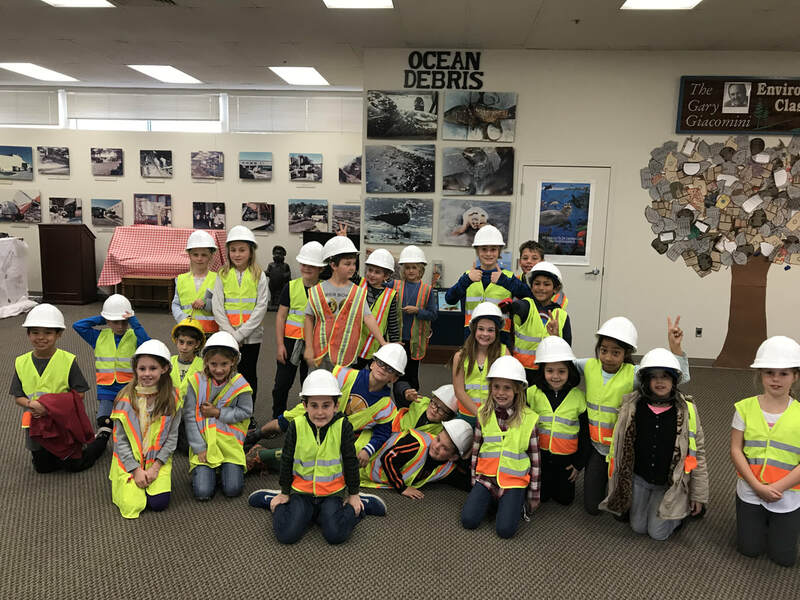 All One Ocean's visit to our elementary school in April 2016, to speak and lead a school cleanup with our youngest environmental leaders, was both delightful and educational. They provided awareness in our students of just how important the part is that we play in keeping our sea life safe and healthy. Their organization ties in seamlessly with our Community Heroes project, which focuses attention upon students taking action in our community in support of a just cause. I believe our students walked away from her presentation enriched and nourished with ideas and goals to keep our campus in better shape than it was before the visit. Their vision is clear, commendable, and achievable. And now it is the part of our little citizens to run with it. Thank you All One Ocean for your work and we look forward to a time when you can visit again! Our third grade classes at Glenwood Elementary are working with Nicole Cibellis and her Ocean Warriors this school year, 2017-2018. Our school has a well-operating Green Team, but Ocean Warriors has deepened our efforts by helping the students take on more leadership. They are in charge of signage, communications, presentations, and team efforts. 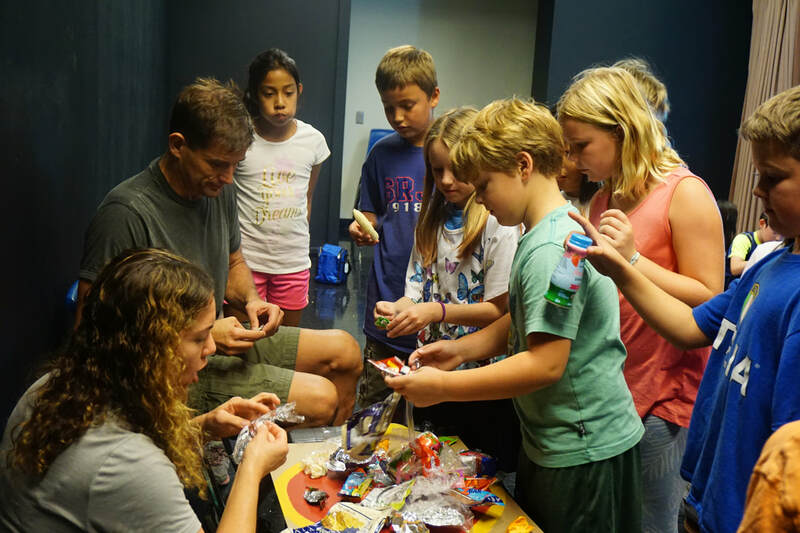 The activities have drawn parents and students alike. While these opportunities were available previously, student ownership has enhanced the experience. The dedication of Nicole and her team has made our participation natural and easy. Our community outreach through field trips, clean-ups and fundraising efforts is rewarding and intrinsically motivational. We feel good about our participation. If there are ways to help this program grow, I encourage anyone to get behind these efforts. Our children are our greatest hope. Teaching my 11th and 12th grade students about the threat to our oceans’ health from plastic is an important part of my curriculum. I was shocked at their lack of knowledge about this human-caused crisis in our ocean. It made me think that we might need more ocean plastic pollution education at elementary and junior high levels. I am so glad that All One Ocean is doing plastic pollution awareness at these school levels. 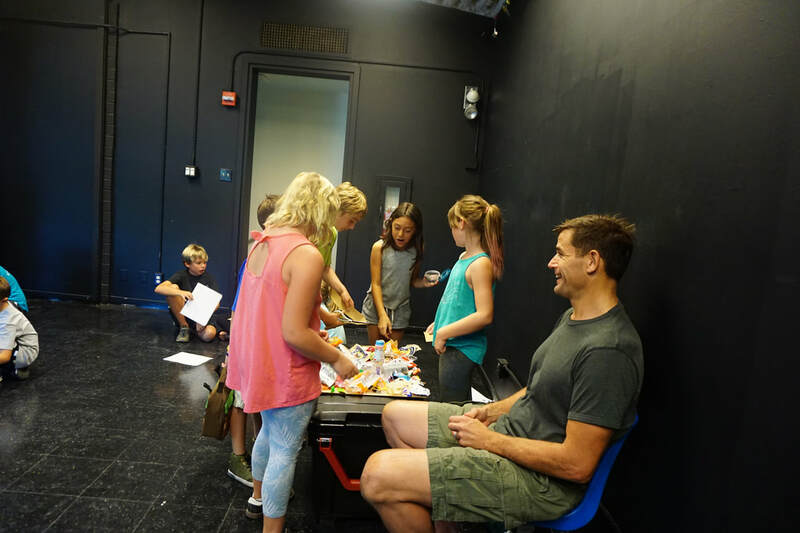 I am proud parent of an All One Ocean student and I volunteered in class for Project 1 of Ocean Warriors. I would like to share with you my thoughts and feelings about how All One Ocean is facilitating the kind of experiential learning I would like to see more of in our schools. My son enjoyed his involvement and so did I. Having been a high school teacher for several years I know how hard it is to design effective and authentic project based learning. It can be a messy process. But, All One Ocean is teaching kids important concepts like ecological sustainability and environmental stewardship in very real and tangible ways. The kids were engaged and fully participating, in a way that looked an awful lot like play, but had obvious educational benefit. Another thing that impressed me about All One Ocean, was its ability to generate collaboration among primary school students. Team building and peer support was highly successful. Different groups of students with different tasks and responsibilities came together to accomplish common goals. 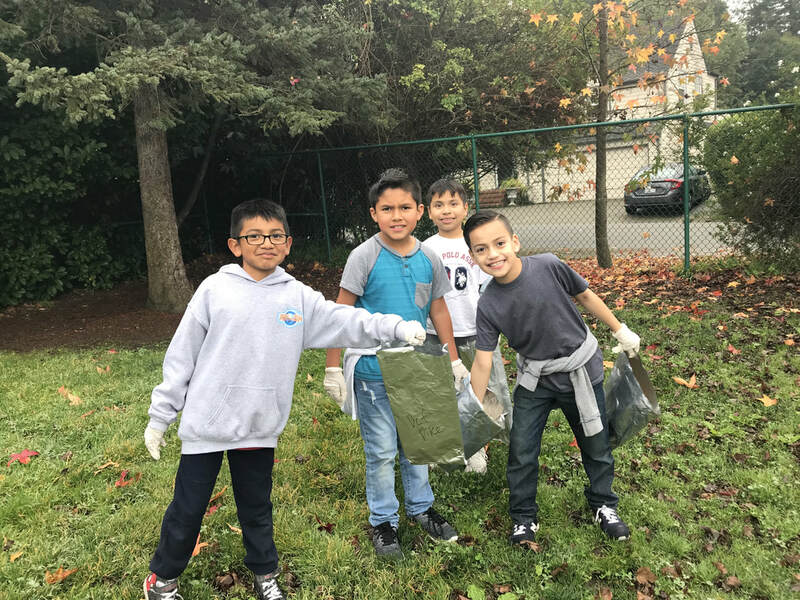 The kids understood that although these were only the first steps to cleaning up their school and ultimately the planet, it was their capacity to organize behind a common set of ideals which was important. They really got it and were genuinely excited. As a parent, I spend a lot of time trying to teach my children to take responsibility for the consequences of their actions, making the world a better place and contributing to the welfare of other living beings. These values were on display in everything I saw All One Ocean do at Glenwood elementary last fall. My son has a better understanding about how we all live down stream and that everything is connected. I spent a couple months assisting Nicole in the Ocean Warriors initiative at Coleman. I was extremely impressed with the curriculum, presentation, projects, games, & creativity of the program. To see how many kids were willing to give up their recess to participate in learning how to preserve our ocean was beyond impressive. Nicole and Frankie were patient, informative and fun. I loved being a part of it and am so proud of our Coleman students. I highly recommend this program and learned so much myself! ​On behalf of the animals in the ocean, I’d like to thank you for coming and spending time with the kids. Our Heroes wanted to save the ocean animals and you showed them a way to do it as well as promote it among others! I am excited to help your cause. I think that reaching out to kids is smart. Helping animals is what they want to do. By letting them know what you’re doing and how they can help, they become empowered and ready to act. By placing clean up stations at schools, students not only become aware of clean up stations, but they also learn how they work. As experienced users, students, staff, teachers and parents can model the stations at public beaches and waterways. The small group of Community Heroes' students you reached out to are now reaching out and teaching hundreds of others. They’ve become your AOO ambassadors. 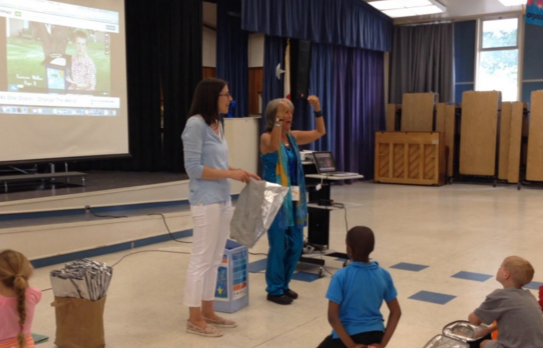 The Third grade students at Coleman Elementary have been taking part in the Ocean Warrior program. 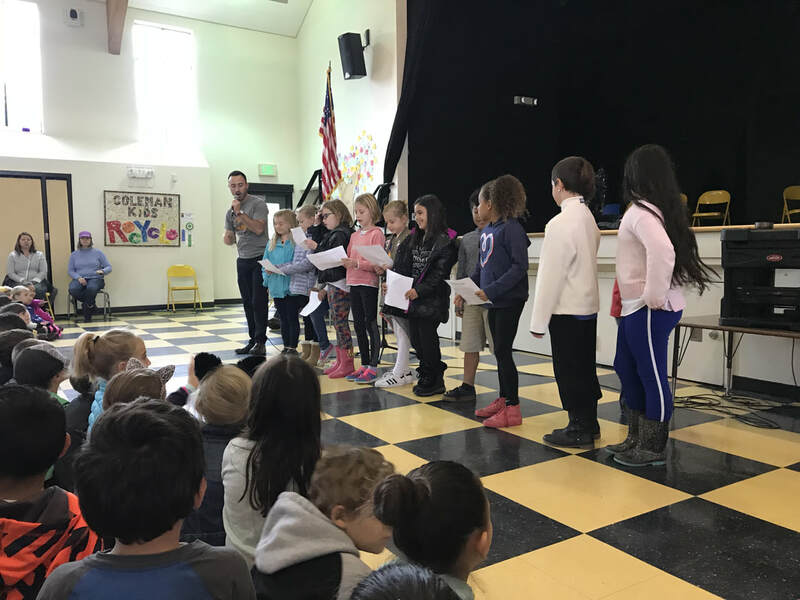 These students meet on Tuesday at lunch and have elected to sacrifice their lunch recess to learn more about environmental education at their school, in their community and the greater Bay Area. These young environmentally minded students are changing the face of our campus one week at a time. They are raising awareness of plastic usage on campus and alternatives, have installed garbage pick-up stations, raised money to purchase reusable bags and are focusing on both advocacy and action.